Many people are avoiding a colonoscopy simply because the conventional preparation is so ghastly, not to mention the severe strain it can put on the kidneys and colon. We have compiled some helpful information to make the experience much more comfortable. Because it is much better to rule out a problem than to ignore it. The benefits far outweigh the risks with a colonoscopy. This is a diagnostic method and a treatment method in one. There is nothing easier to remove polyps and give you an evaluation of the structure of your digestive system than this test which is especially important if you have a history of digestive disorders or a family history of colon cancer or polyp removal. If you are concerned about the anesthesia you can also opt out of anesthesia or you can ask for a specific type of anesthesia. In most European countries, bowel tests are often done without anesthesia. 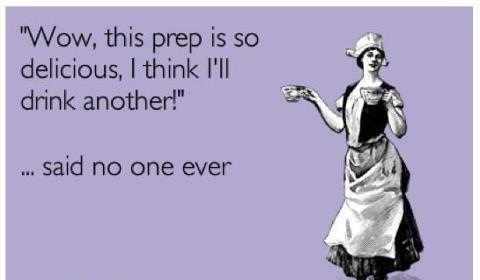 If it’s the prep that terrifies you (as it does most people) then there are ways to personalize your prep to make it more comfortable and just as effective. What is your body weight? If you are a small person, then you don’t need the same prep as a 400 pound truck driver. Choose something that is less irritating and with less volume. Ask for guidance based on body weight. How much fibrous food or red meat do you consume? Your colon may need a more intensive prep to be sure that all fibrous food residue is removed. Do you eat snackfoods or foods that can leave residue on the lining of the colon? If this is the case then you will want to be sure to avoid anything that can color the lining of the colon which includes anything with dyes or foods that leave a color trail, like beets. Do you take any narcotic medication or have you taken any for a lengthy period of time? This can change your body’s reaction to things and can alter your tolerance especially of pain, pain medications or anesthesia. How regular are your bowel movements (normal would be 1-2 per day)? The more regular your bowel movements are, the less prep you need to do to get your colon clear. If you have a healthy transit time then it’s likely that you can remove all solids from your colon. This will mean less laxative prep. Answering these questions can make it easier to choose a less horrifying prep. Even though colonics are a great way to prepare for a colonoscopy, you shouldn’t rely on them solely for your prep. They can remove material from the colon, but cannot reach into the small intestine which can often house segments of material that can take longer to remove from the digestive tract. The normal transit time is 12-18 hours, but some people can take days to normally release material. Colonics can also help to strengthen your natural peristalsis, but part of the “comfort” aspect of a colonoscopy is dependent on the muscles of your bowel being relaxed. So in some cases the colonic can work against your colonoscopy. The best way to incorporate colonics is to begin a week before your test date and have at least three colonics, including one the morning of your test. In this way you can use colonics to its best advantage. You should also be taking Magnesium or a laxative prep along with your colonic sessions and it is vital that you fast from solid food for the entire day before and day of your test.